Singapore is characterized by a tropical climate and remains hot and humid the whole year. The country does not have definite seasons such as winter, summer, spring or autumn. It is therefore imperative to install fans or aircons in your home or office in order to check the varying high and low temperatures. There are a various types of fans such as table fans and ceiling fans. 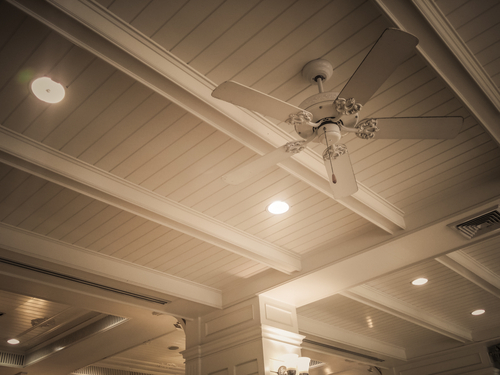 Ceiling fans are popular among many homeowners in Singapore as far as regulation of temperature is concerned. They are useful in lowering room temperatures in hot months and can also increase warmth in cold months. Even if they do not produce coolness to match that of aircons, they are very valuable in regulating the room temperature in your home or workplace. 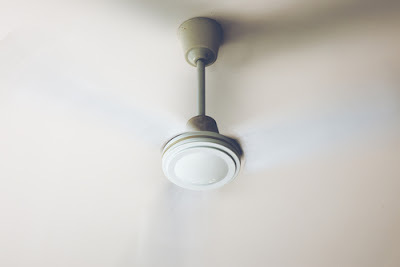 This article explores the pros and cons of installing a ceiling fan in your home. You can use a ceiling fan to lower room temperatures in your home significantly. Whether your room is big or small, you can rely on the ceiling fan to keep your room cooler. If you open the windows, the extra heat flees and the fan regulates the air motion. The blades of the fan push cool air in your room downwards which creates a cool and soothing breeze. The blades of ceiling fan can be reversed during cold seasons thereby increasing the room temperatures. When blades are reversed, the ceiling fan pulls cool air upwards instead of downwards. Warm air is forced downwards which has an effect giving your room a warmer feeling. Ceiling fans consumes very little energy. This implies that you spend less money on electricity bills as you enjoy coolness in hot months and warmth in the cold season. The fans consume much less power compared with an air conditioner regardless of the efficiency of the aircon. Even if you install several ceiling fans in your home, you will not spend as much energy. Additionally, you can leave you fan off when you are not in the house as you only need it when it is blowing you. This also saves you energy costs. When you locate your ceiling fan strategically, you do not need to use ACs or furnace which further saves you energy and money. Ceiling fans are therefore very economical and affordable by many homeowners. Nowadays, there are home ceiling fans that come with an inbuilt light while others have a light kit included. These ceiling fans have become popular among many homeowners in Singapore. You just need to locate your fan strategically in your room and use it as the source of lighting as well as regulation of temperature. The ceiling fan is therefore quite versatile as it can be adapted for different uses. Just like you can use it indoors, you can also install a ceiling fan in outdoor areas such as open air kitchen and balcony. You can therefore enjoy a regulated temperature even while outdoors. The high speed rotation of the ceiling fan and the ensuing air also drives insects away and hence you can relax peacefully. Ceiling fans come in different types and designs. You can select the one that suit your home decor and increase your home beauty significantly. The fans can be made to be attractive with blades designed with different patterns or materials and matching light shades. Ceiling fans are cheaper compared with other types of fans and air conditioner. They are therefore affordable by majority of home owners in Singapore. The cost of installation is also fair. When the ceiling fan is new, well balanced, and clean and of the modern type, it may be a bit quiet. However, as the fan gets older, screws become loose and rotators lose greasiness, it can become noisy and irritating. If you are using a noisy ceiling fan at the office, it can be very distracting and hence interfere with your work concentration. On the other hand a noisy home ceiling fan can make the house uncomfortable. For instance, it can interfere with your sleeping and also disturb children. The ceiling fan therefore requires proper maintenance to avoid the irritating noise. 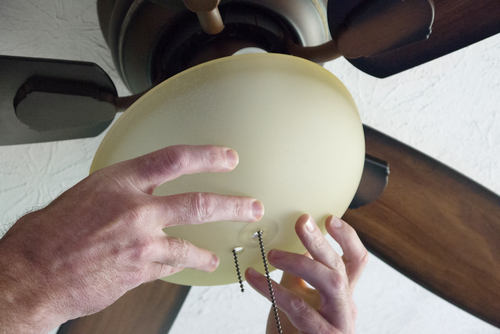 Ceiling fans are installed at high places out of reach which makes them hard to clean. The blades of the fan are equally difficult to clean and may require special tools or expertise. You may therefore require specialized services to clean your ceiling fans. Installing your ceiling fan at a too low height can be dangerous. You, a family member or a visitor can accidentally have his/her hands or head caught by the fan’s blades and sustain injuries. If you have kids, they can also get injured by the blades when playing. To avoid such dangers, you should ensure that the ceiling fan in installed at a reasonable height where even taller people are not endangered. The main problem of home ceiling fan is if your room has a very low ceiling since you cannot install the fan high enough. Though most ceiling fans come with an integrated light or an included lighting kit, such light may not be sufficient in your room. You may therefore have to supplement the light from other appliances. The above overview presents the pros and cons of ceiling fans. This may help you to make an informed decision as you think of regulating the temperatures of your home in the hot and humid climate in Singapore.